Kevin Fleming is a member in the St. Louis office, representing corporate entities, public governmental bodies, and private individuals in a wide range of sophisticated and complex transactions and general representation. Kevin’s private entity practice includes representing private entities and individuals in real estate, financing, and general corporate matters, including handling day-to-day legal matters for corporate clients such as negotiating contracts and advising on entity formation and corporate governance issues. Kevin’s public entity practice includes representing governmental bodies in project finance and real estate development transactions. As counsel to the St. Louis Regional Convention and Sports Complex Authority, Kevin worked for over 18 months between 2014 and 2016 handling every aspect of the $1.1 billion riverfront stadium complex proposed to the National Football League in an effort to retain an NFL team in St. Louis. Kevin has served as outside counsel to the St. Louis County Port Authority in connection with the development and financing of new recreational sports facilities to be located in St. Louis County. Kevin’s real estate practice includes purchase and sale transactions, commercial leasing, various types of public financings, construction and development matters, and real estate secured lending. Kevin has a robust multifamily residential development practice, including representing buyers, sellers and developers of apartment complexes in multiple states. 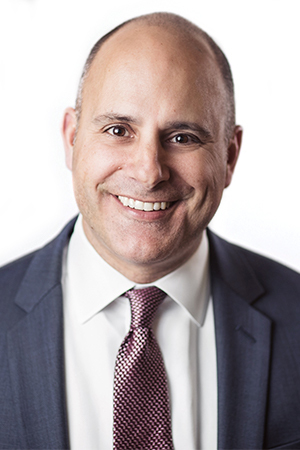 Kevin’s banking and commercial finance practice includes representing both borrowers and lenders in negotiating credit facilities and debt issuances, as well as handling work-outs and various types of debt restructuring and debt-related litigation disputes. Prior to joining the firm in December 2008, Kevin spent over 5 years practicing real estate, commercial finance, and bankruptcy law with a large St. Louis law firm and 2 years practicing corporate and securities law in Menlo Park and San Francisco, California. In addition to his law degree, Kevin received an MBA from Northwestern University. Kevin is active in a variety of civic, charitable, and religious activities in the St. Louis area, including the Dartmouth Alumni Club of St. Louis (in which he serves as Co-District Enrollment Director), the Kellogg Alumni Club of St. Louis, the St. Louis Sports Commission, Special Olympics Missouri, and Central Presbyterian Church. Originally from Moberly, Missouri, Kevin lives in St. Louis with his wife and three young children.